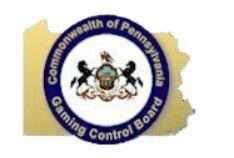 On 27th March, the Pennsylvania Gaming Control Board (PGCB) sent a press release. Indeed, they inform everyone they’re starting the Interactive Gaming license process on 4th June. This news came a bit as a surprise if we’re honest. Given that the online gaming license process only starts in 2 weeks. Things are moving fast in Pennsylvania! There’s no doubt about that. What are the differences between the two application processes? First of all, it’s worth knowing that the online gaming process is only for existing Pa casinos. But you’ll get more information about that in the news we’ve dedicated to this subject. Now when it comes to the operators’ process, it’s for games and platform distributors. Per example, If NetEnt wanted to offer real money games in PA, they’d have to apply for a license on June 4th. The same applies to platform distributors like IGC and GAN to name a few. Why do operators and distributors need to get separate licenses? Well, it’s for your protection as a player! Indeed, both process will investigate the companies liabilities. Additionally, the operator’s process involves games checks. This is to make sure they respect the highest standards of fair play. Also, the PGCB will investigate the data encryption mechanics in place by distributors and providers. Just to make sure you’re data is safe online! All and all, it an easy process for many game distributors and platform providers. Especially since many already have the seal of approval from gaming authorities worldwide. Plus, PA standards aren’t that different than in other markets they’ve complied with already. And even if they were. These companies always use the latest technology to make sure you’re safe online. Now, what does that mean for you as a player? Well, it’s easy! Once we know who’s getting a license, we’ll be able to tell you more about the games you’ll find in online casinos PA. We frequently write game reviews so make sure to follow us to get an edge over everyone else!